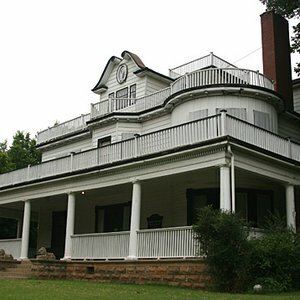 Gilcrease Museum contains one of the world's most comprehensive collections of Western American art. 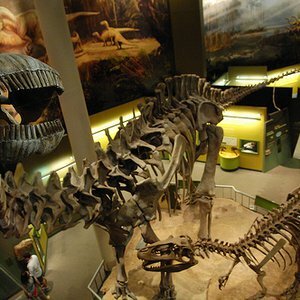 This nationally celebrated museum features extensive exhibits on America's prehistory, settlement and expansion. 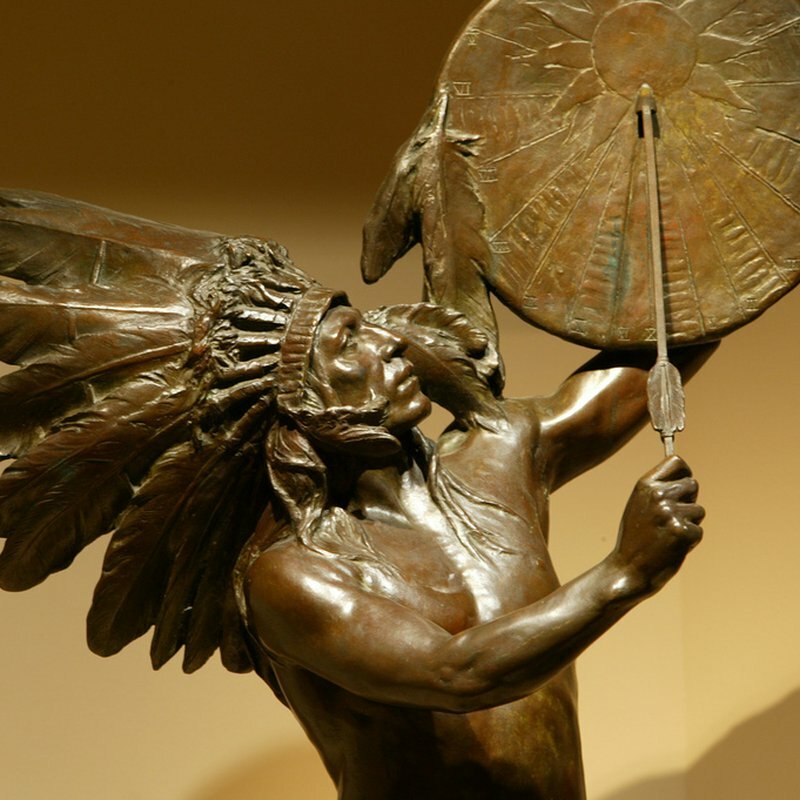 The permanent collections of more than 13,000 works of art include priceless pieces by renowned Western artists such as Albert Bierstadt, Thomas Moran, Frederic Remington, Charles M. Russell and George Catlin. 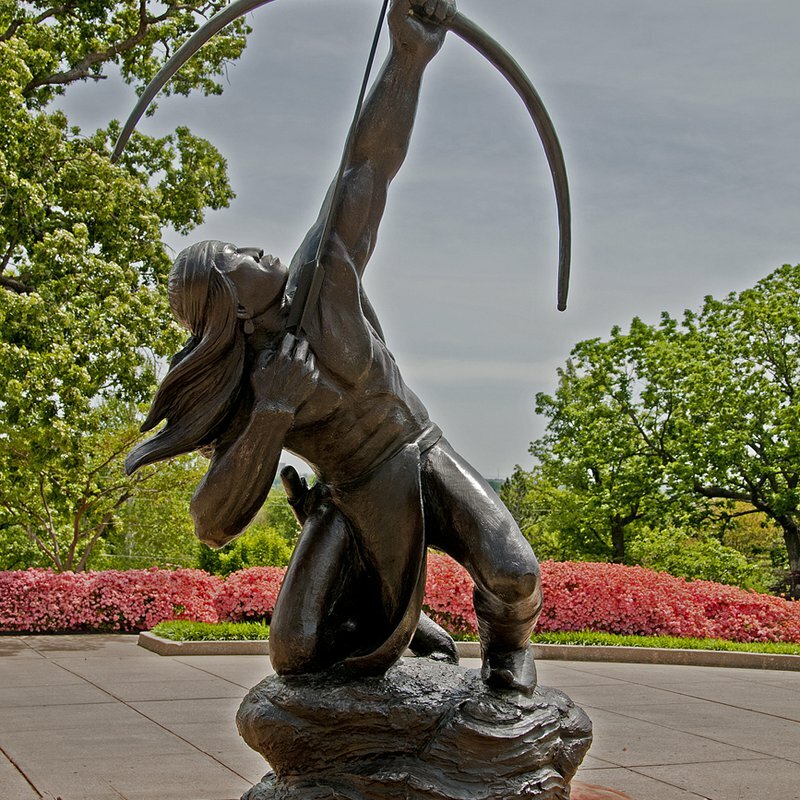 Eighteen of Remington's 22 bronze sculptures are part of the museum's permanent collection. Large-scale landscape masterpieces by Thomas Moran are displayed in the galleries along with the works of more than 400 artists. 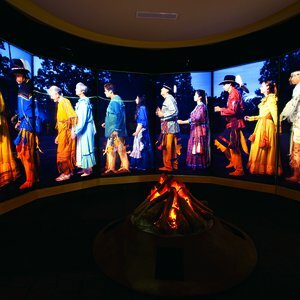 The Kravis Discovery Center brings state of the art technology and artifacts together for an exciting new look at Gilcrease Museum's anthropology collection. This visible storage area is an interactive collections research facility, providing access to thousands of objects relating to the early history of the Americas. 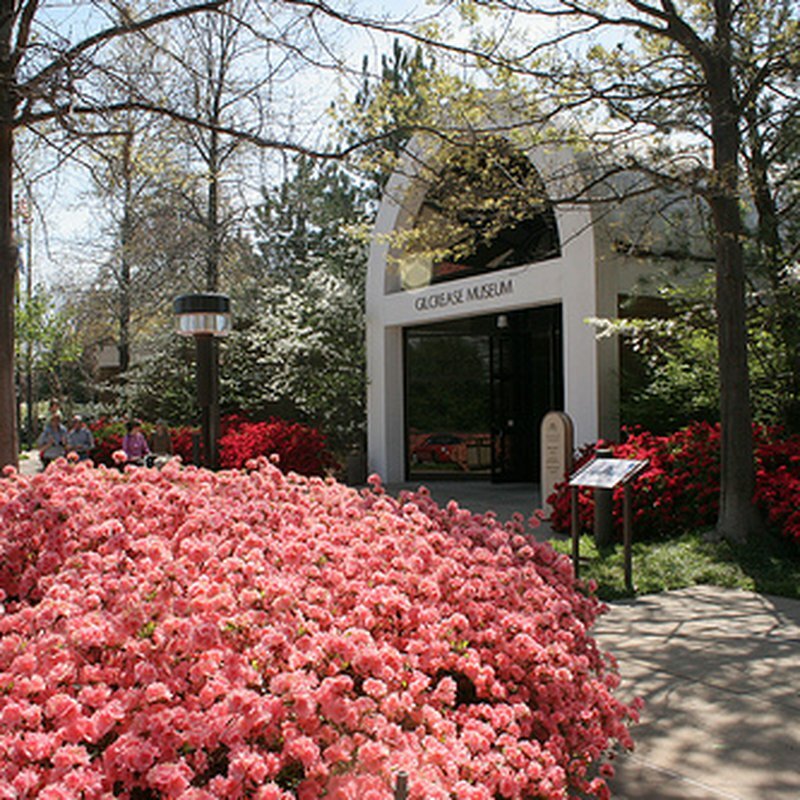 The grounds of Gilcrease Museum match the artistry within as themed gardens have been developed on 23 of the museum's 460 acres. Garden tours are available to make the most out of your time on the beautiful museum grounds. 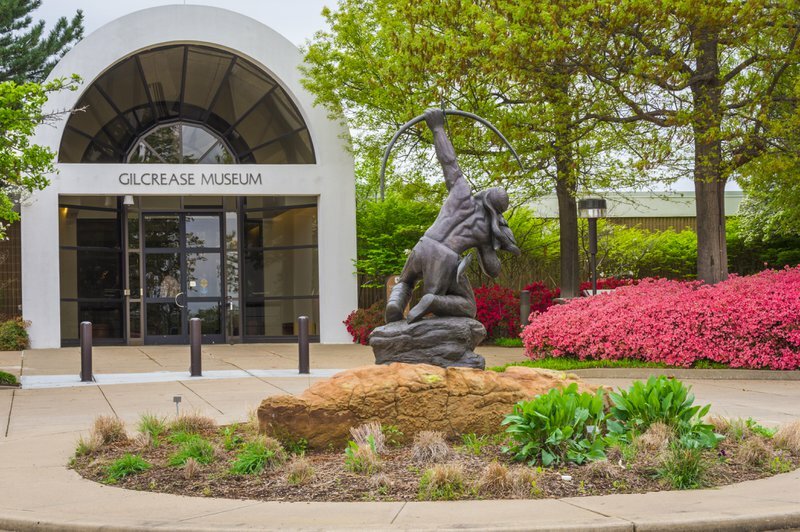 The Helmerich Center for American Research at Gilcrease Museum houses the vast archival collection that Thomas Gilcrease amassed. 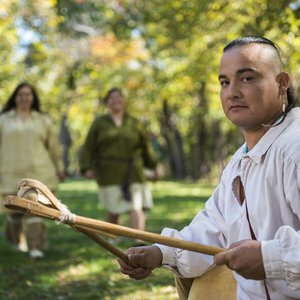 The archives constitute one of the country’s most extensive collections of rare books, documents, maps, and unpublished material related to the history of the North American continent. In addition, the museum offers a continuum of art education programs for all ages. 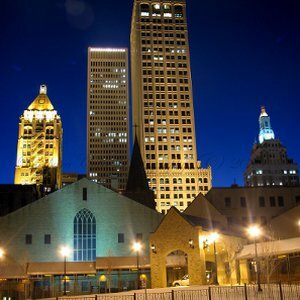 The museum is owned by the City of Tulsa, which has partnered with The University of Tulsa to steward the museum. Closed all Mondays & Christmas Day. Restaurant open Tuesday-Sunday from 11am-3pm. Children 18 & under: FREE While every effort has been made to ensure the accuracy of the pricing listed above, prices are subject to change without notice. From eastbound I-44, take I-244 E (Exit 223A) toward downtown area. Merge onto Hwy 64/51/412 W (5B) to Sand Springs. Exit Gilcrease Museum Rd and go N.